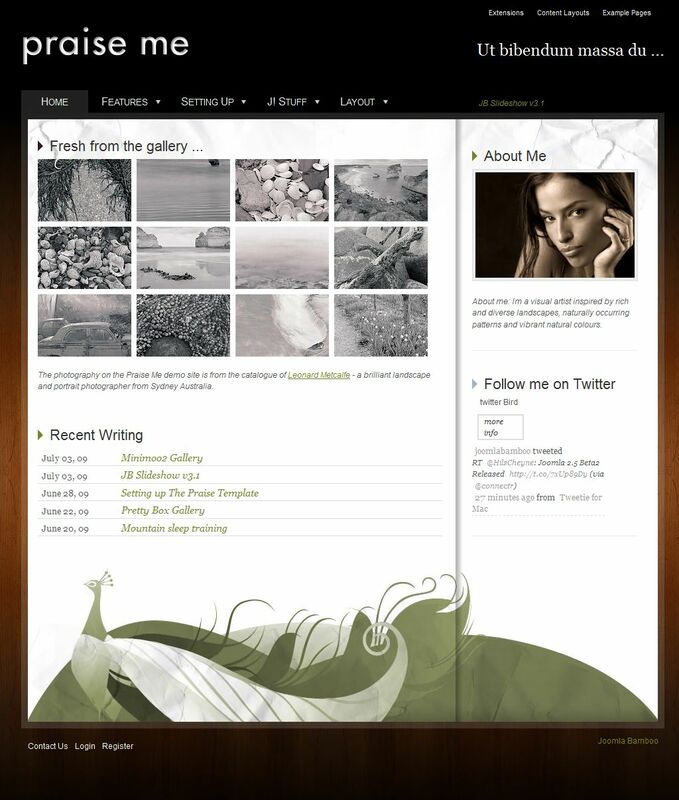 JB Praise from studio JoomlaBamboo - stylish pattern that is perfect for creating photo galleries. The template JB Praise preinstalled background 9 pieces that are easy to customize and easy to create a gallery of images and display it using the module as the content on the site. From JB Slideshow module can create exciting slideshows uploaded to the image gallery. The template JB Praise developers preinstalled two types of menus: Panel Menu and Superfish Menu. Falling outside the top panel JB Drop Panel will place 3 modules. The template JB Praise has 46 positions for the placement of the various modules, besides the above three on Drop Panel.